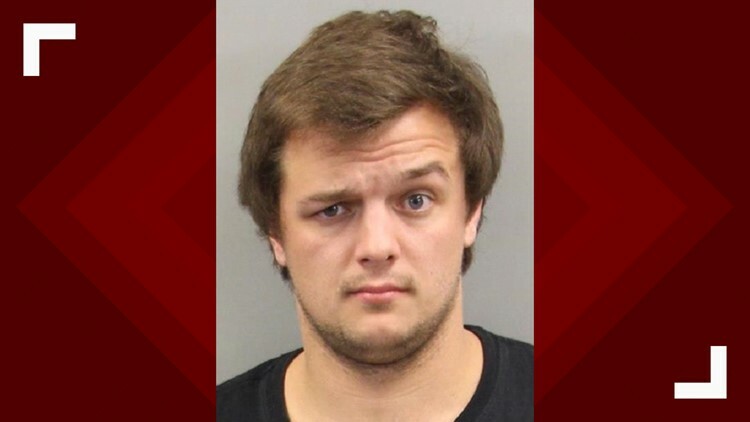 Deputies say the man had been inside Providence Grove High School since 3:30 a.m. and was found in the weight room, after the custodian arrived to open the school for the day. RANDOLPH COUNTY, N.C. — Deputies say a school custodian found a man inside Providence Grove High School while opening up the school on Monday morning. The school employee told the Randolph County Sheriff's Office a man, now identified as Khristian Krajenka, had opened the doors to the fire extinguisher cabinets, opened doors to classrooms, attempted to shower in the locker room, removed sporting goods from storage areas, damaged the basketball court, plugged up the scoreboard inside the gym, placed a ping pong table on the basketball court, and was currently sitting in the weight room. Krajenka told officers he did not have an ID and refused to give any other information. Deputies say based on security footage, Krajenka, 22, had been inside the school since 3:30 a.m. Several items were missing from one of the classrooms and vandalism was found.